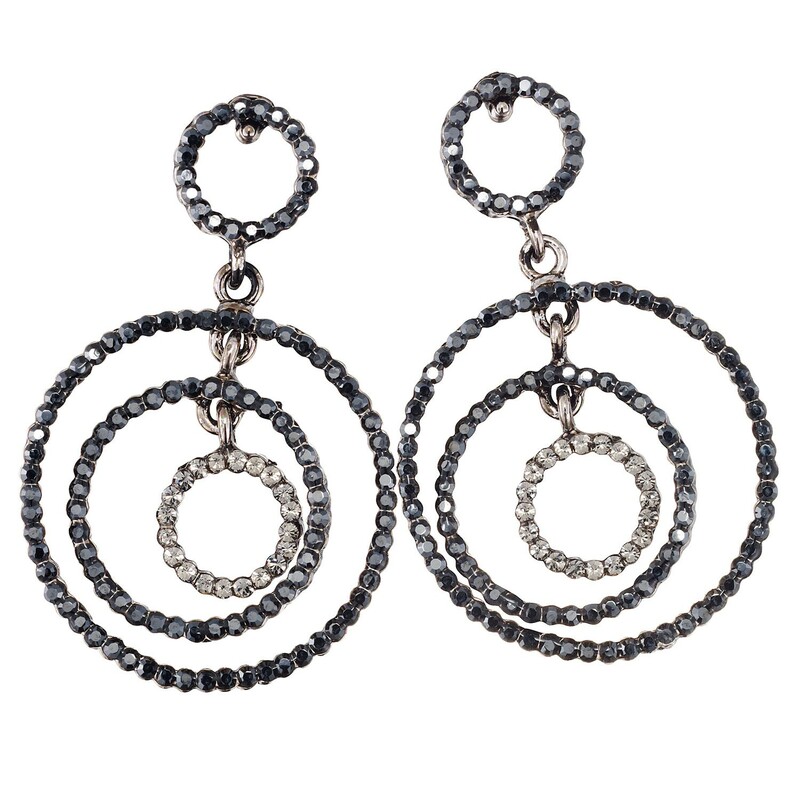 These triple black circle earrings made by Gemini London Jewellery's would look great on for a great night out such as a Prom or Christmas Party. Great fashion earrings with a classic twist with circles move independently from each other. 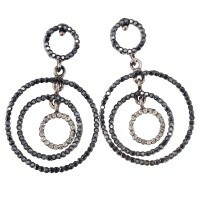 Two of hoops have jet black 1.5mm crystals set in them and the middle circle is set with black diamond crystals set. These circles hang at 58mm and the widest area is 38mm. Nickel safe base metal with Rhodium plating. Four week returns policy. All measurements are approximates.